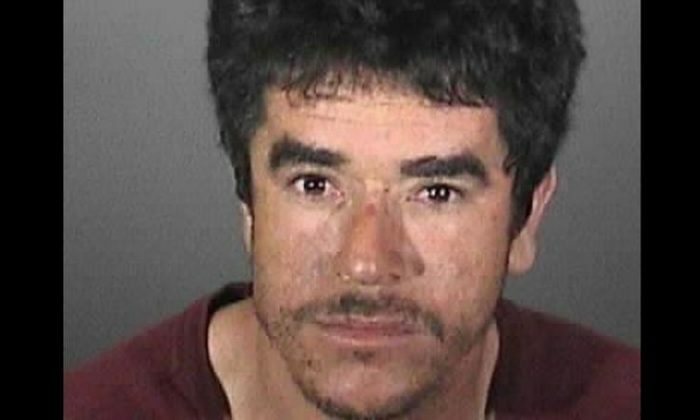 A man who is accused of attacking his wife with a chainsaw in California was deported 11 previous times before he was arrested Thursday, officials said. Alejandro Alvarez, 32, was taken into custody on charges of attempted murder, child endangerment, hit and run, and grand theft auto, said the Whittier Police Department in a statement. In the incident last week, officers responded to a situation at a Whittier home and discovered “a female adult suffering from traumatic physical injuries” that they believed was caused by a chainsaw, the department stated. The chainsaw, police said, has been recovered. Before his arrest, Alvarez fled the scene of the attack and was considered by police to be armed and dangerous. The unnamed woman was taken to a trauma center at a nearby hospital. Her condition is not known, police said. “She’s currently recovering and expected to survive,” officer John Scoggins told The Los Angeles Times, which also reported that Alvarez allegedly attacked his wife in front of his three kids. A spokesperson for the Immigration and Customs Enforcement agency (ICE), Lori Haley, said that Alvarez has been deported nearly a dozen times, the LA Times reported. The agency made a request to local authorities to allow its officials to take him into custody. Records showed that Alvarez had a criminal history prior to his latest arrest. In 2013, he was charged with unlawful possession of a controlled substance and one count of using or being under the influence of a controlled substance. The LA Times reported that he pleaded no contest to both of those charges. Scoggins, however, noted that he had a few arrests for misdemeanors, but they were not violent in nature. “They don’t have anything to do with domestic violence or assault and battery,” he said, adding that he’s not aware of Alvarez’s immigration status or “what’s going on from that end,” the newspaper reported.